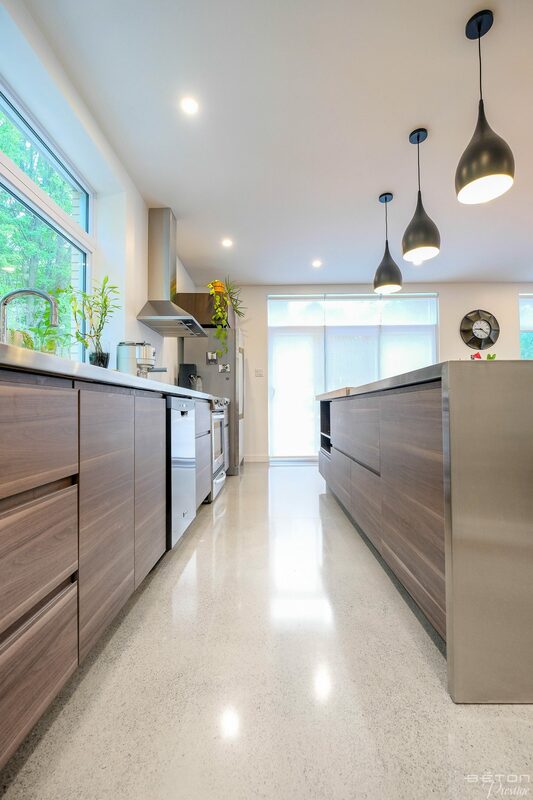 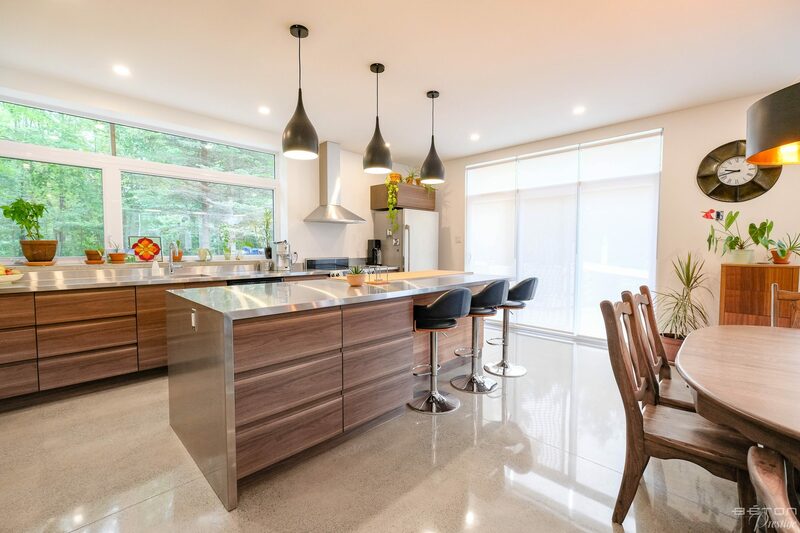 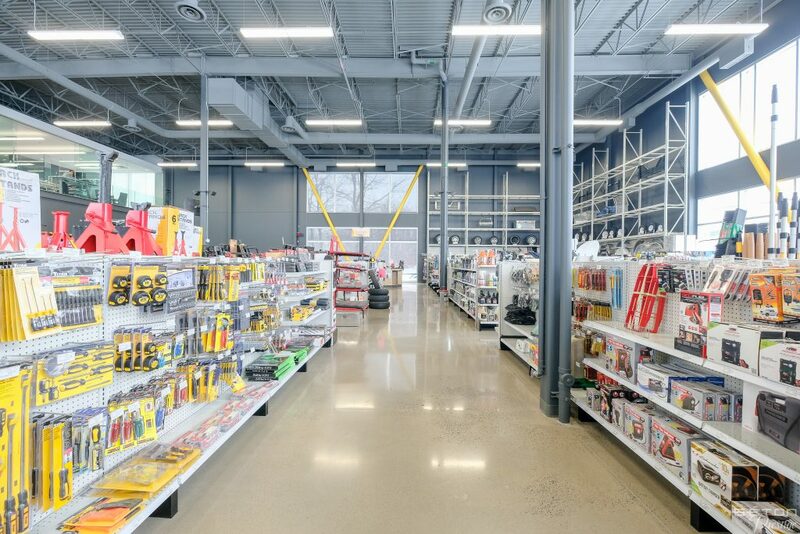 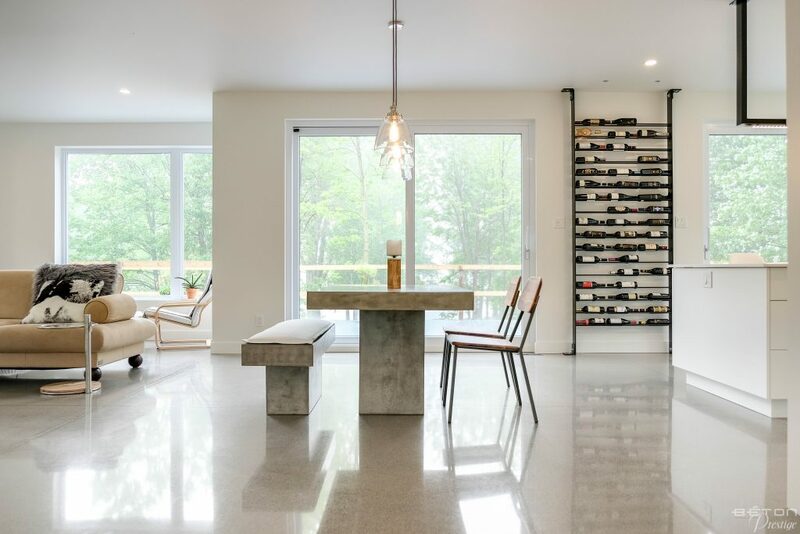 This is a major renovation of a residence located in the Montérégie region. 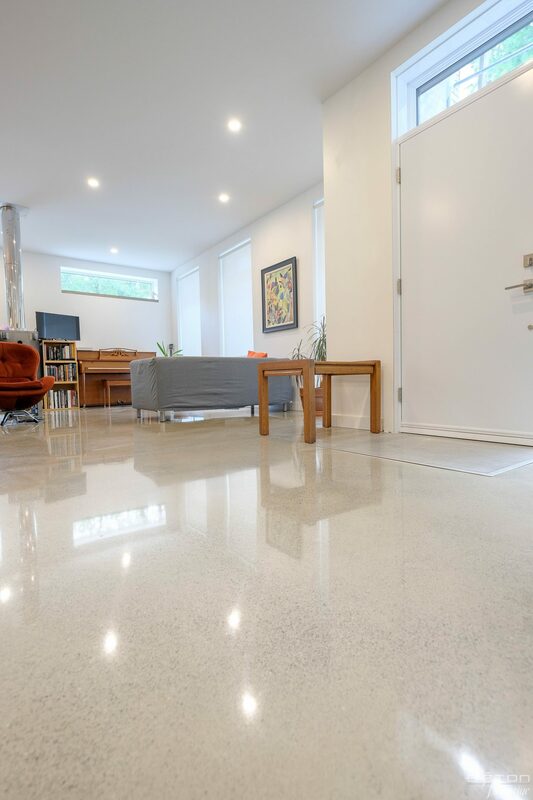 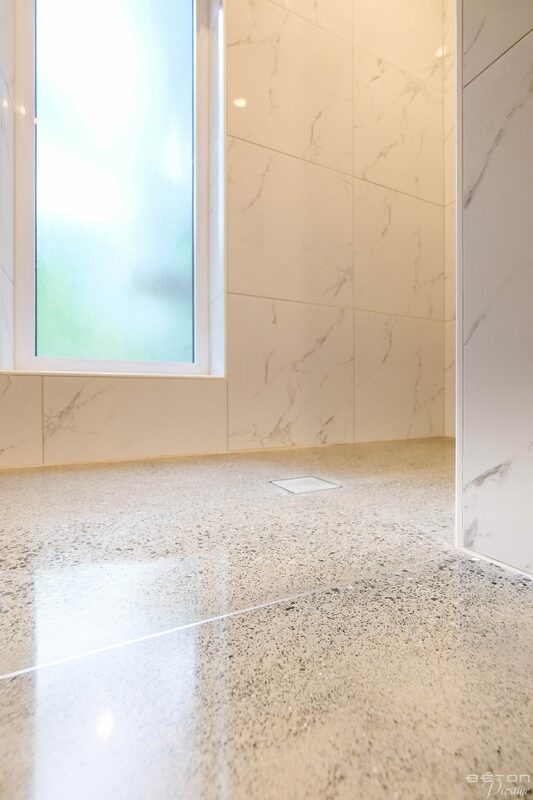 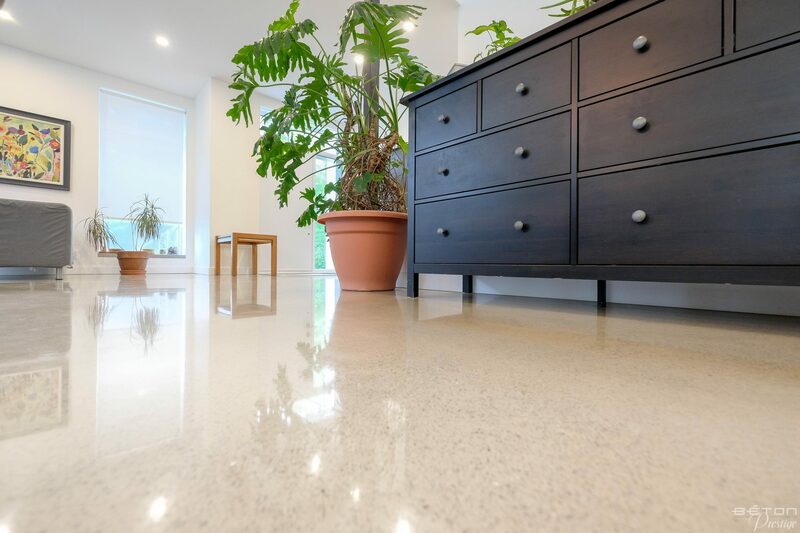 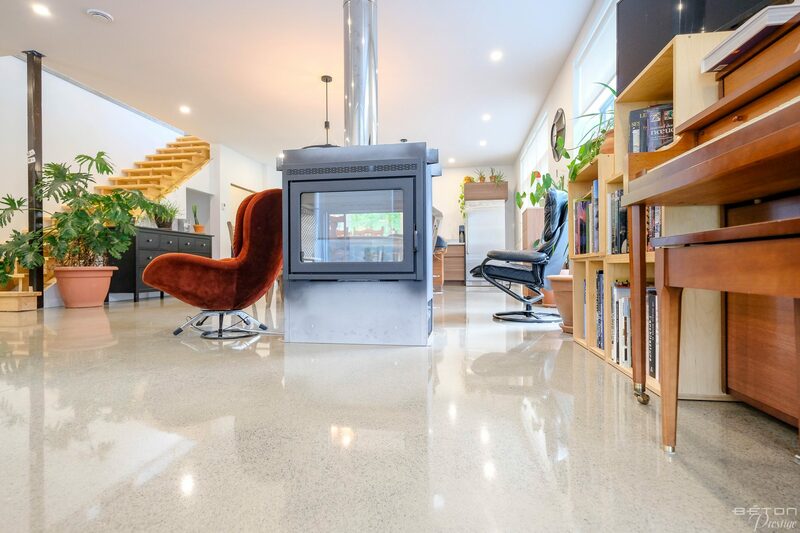 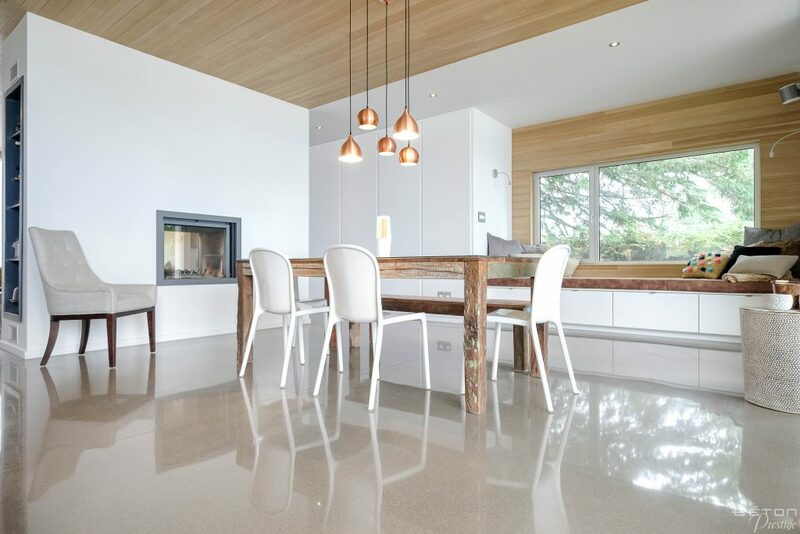 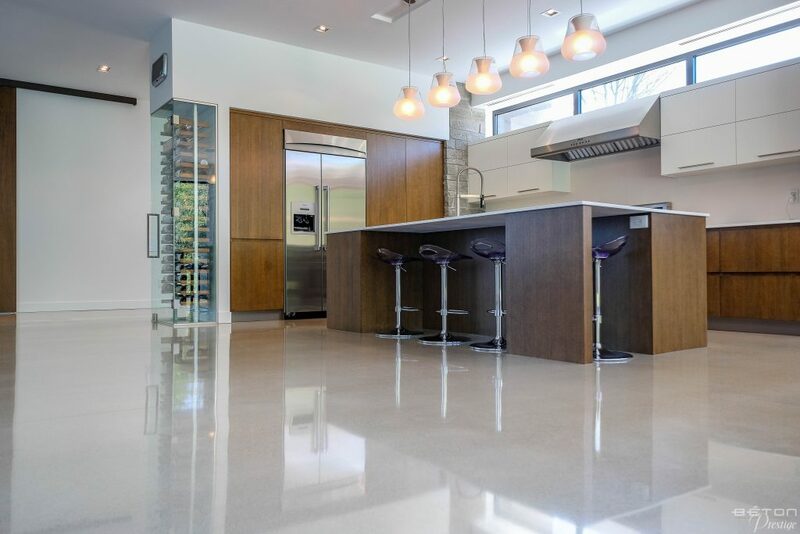 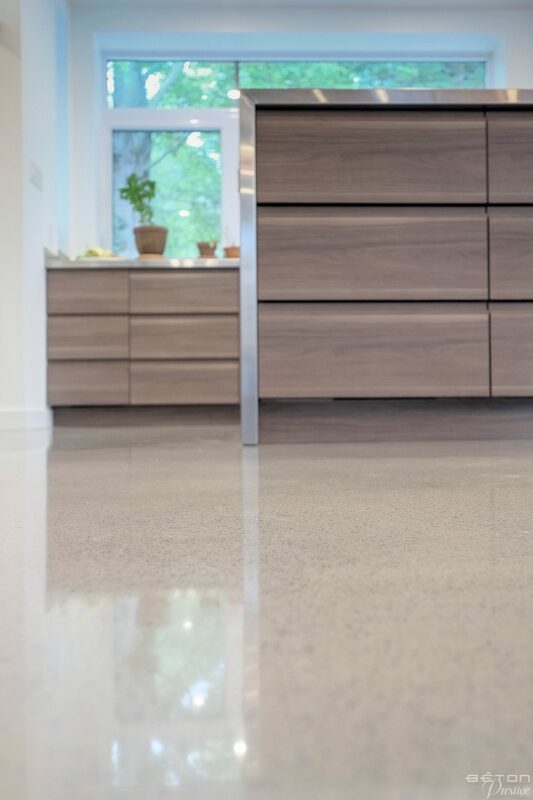 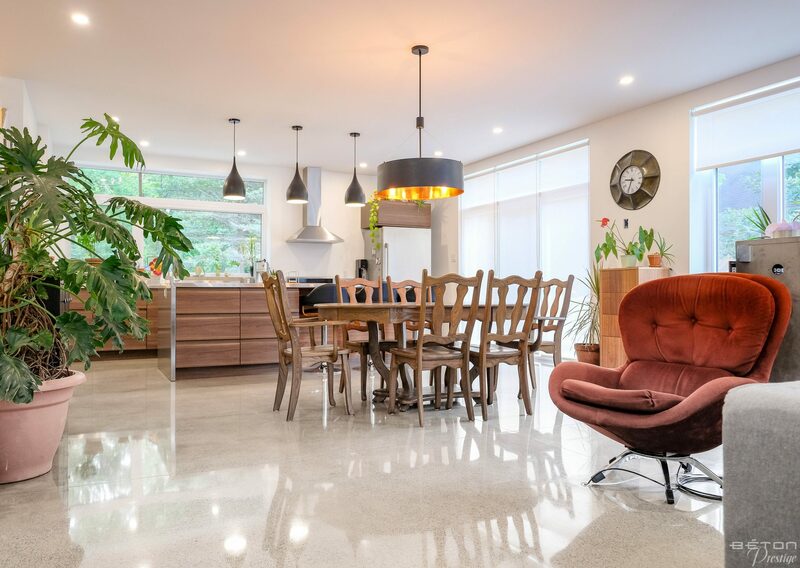 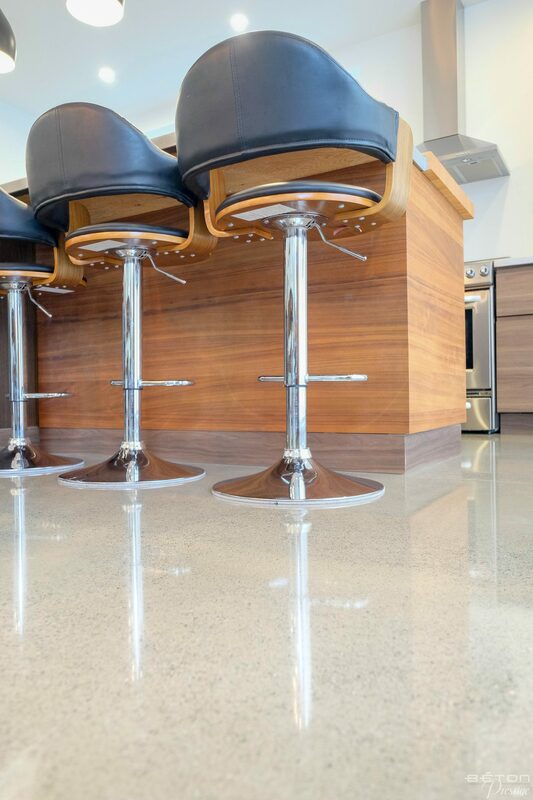 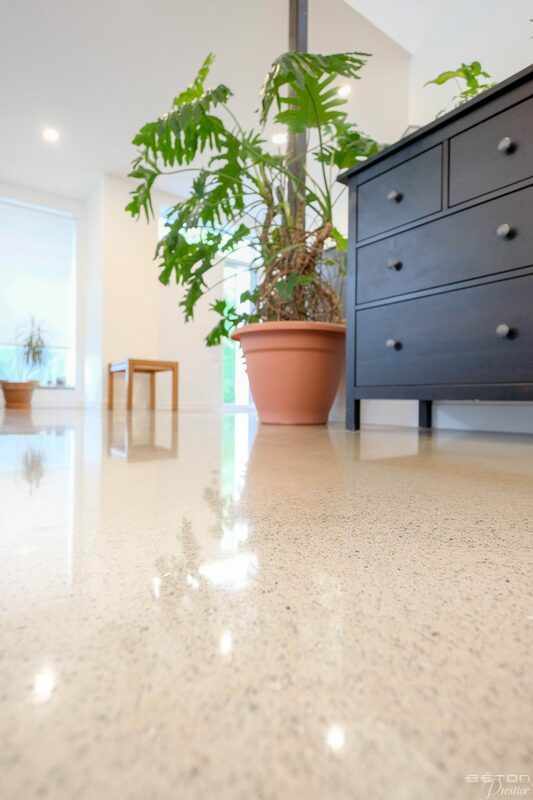 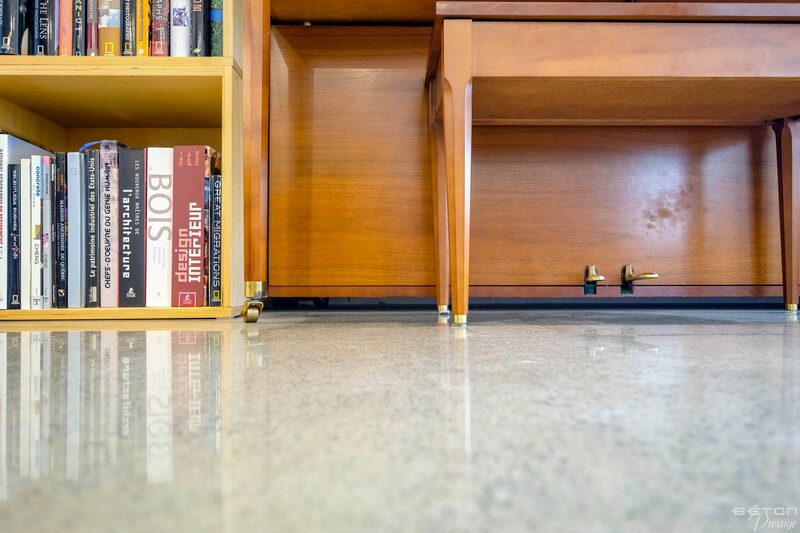 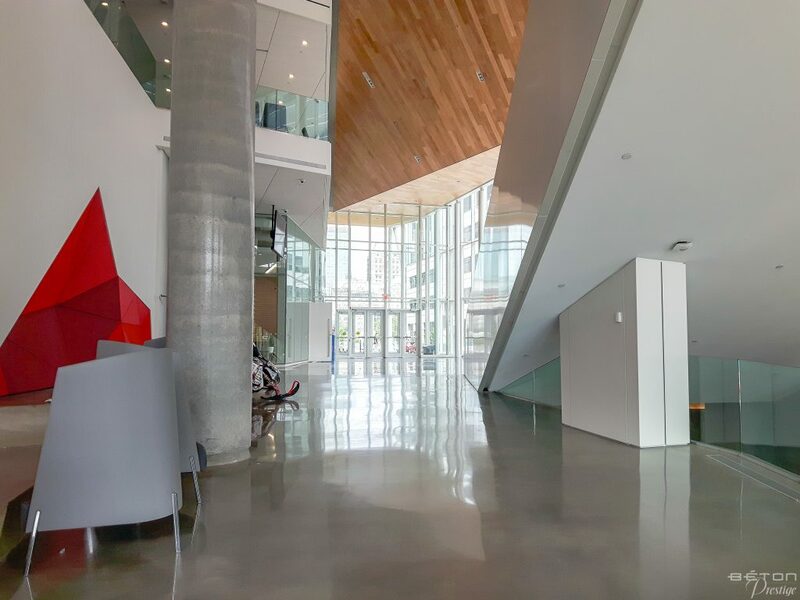 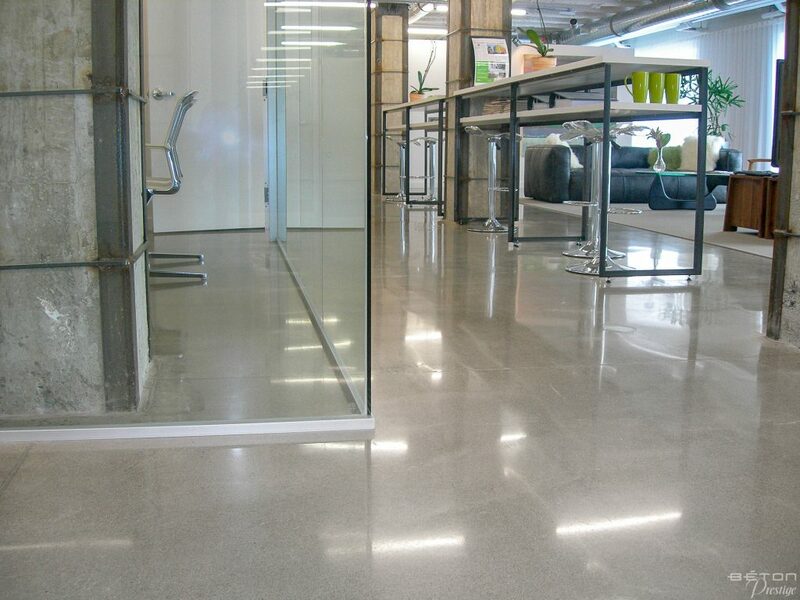 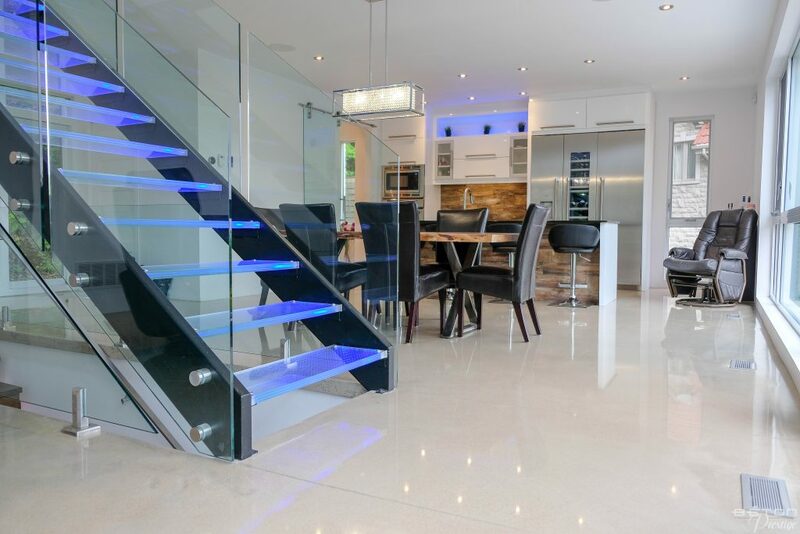 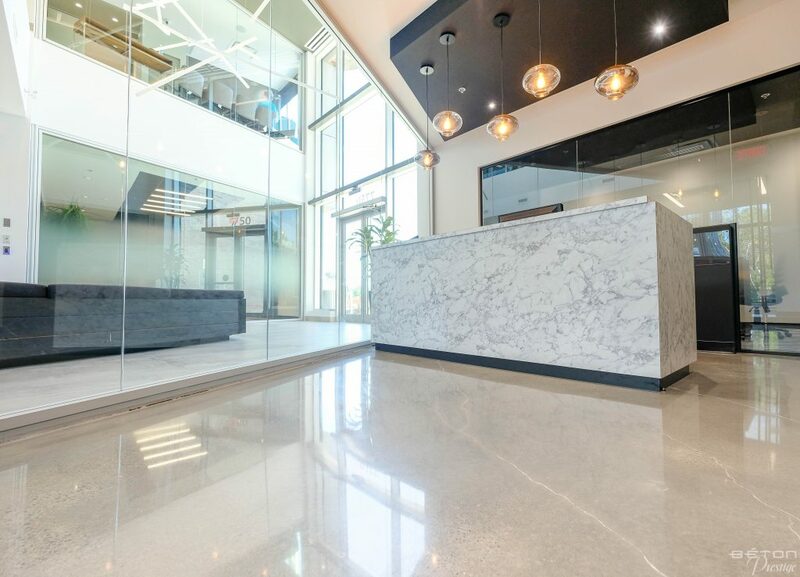 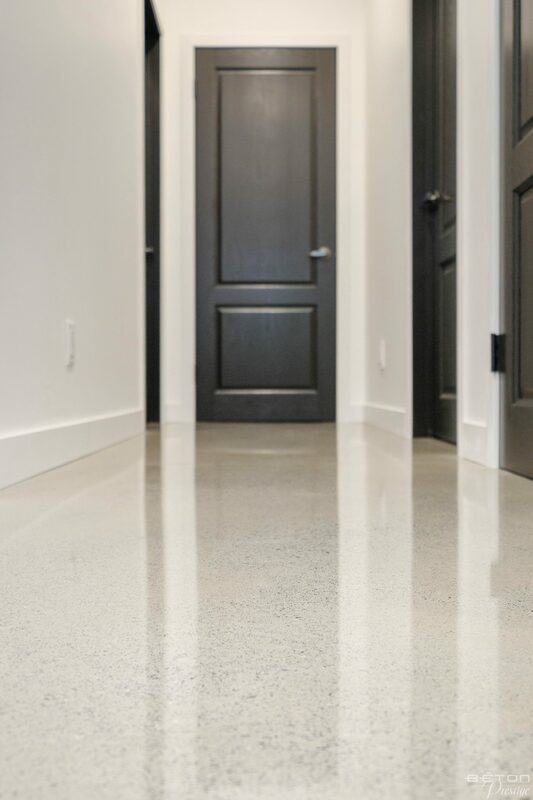 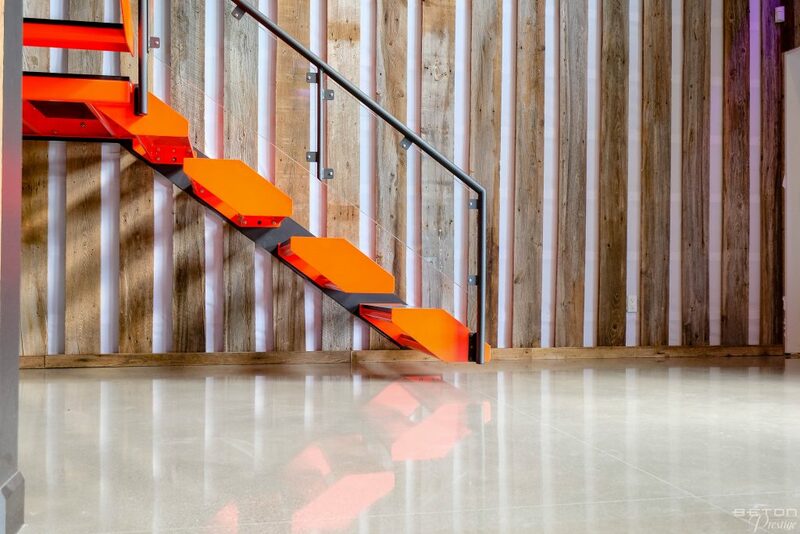 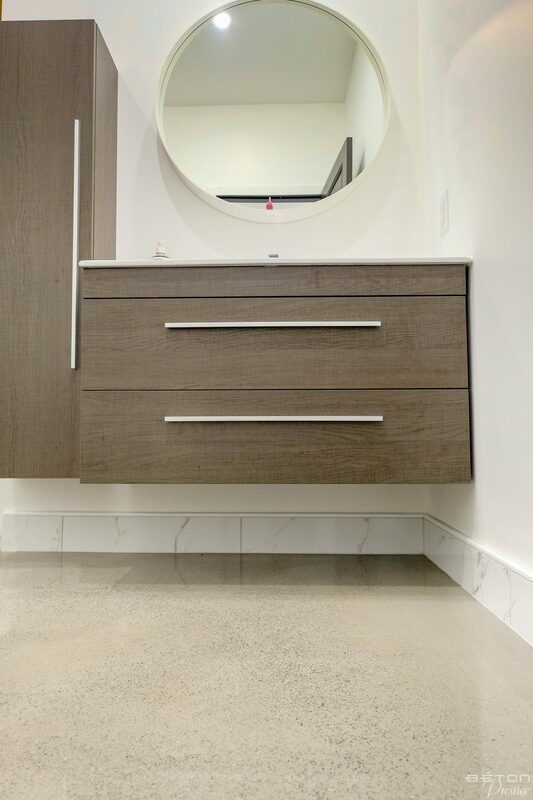 The new polished concrete floor, a slab on the ground covering the entire surface area of the ground floor, blends perfectly with the eclectic and warm décor. 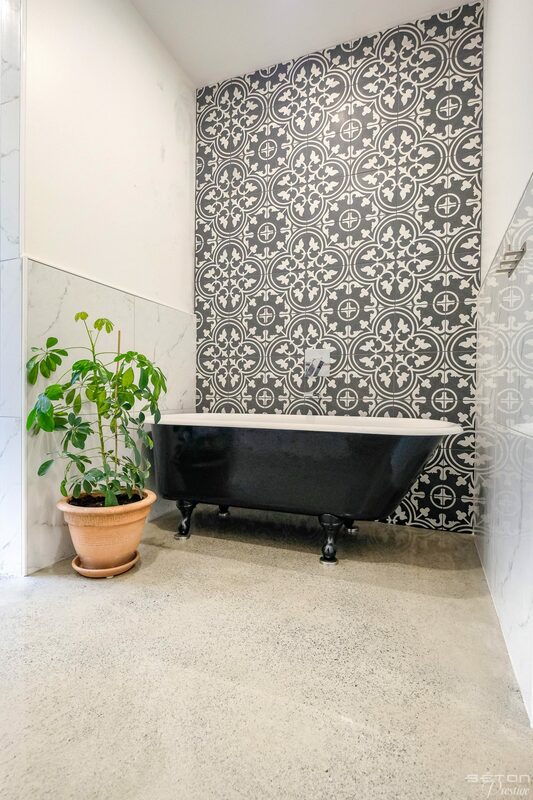 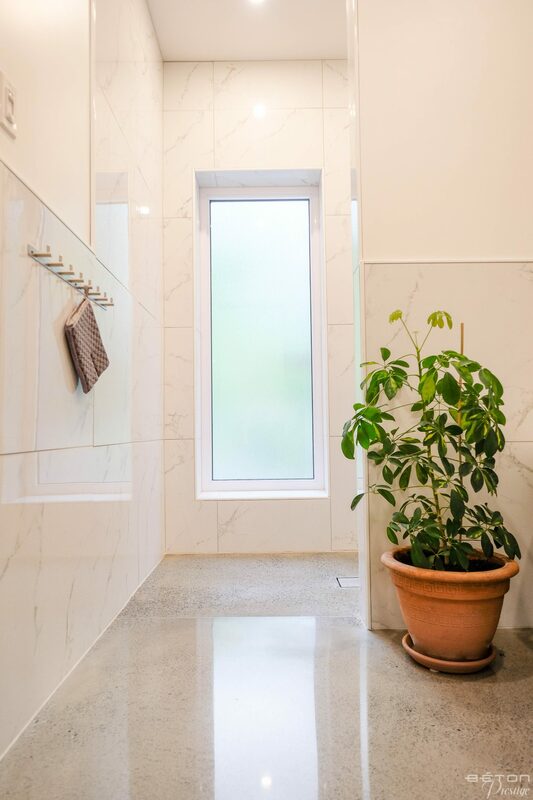 In the monochrome bathroom, you will notice the central drain in the shower, specially designed for this type of walk-in shower.